Hands-free robotic surgery: closer than we think? Home » Blog » Hands-free robotic surgery: closer than we think? Driving is not the only hands-free activity getting closer to reality. Surgery is also moving in that direction. Researchers built an “autonomous” robot and used it to stitch soft tissue in the bowel of a pig. Their study suggests that advanced robots might one day remove the need for a surgeon's hands in guiding complicated surgeries. Robotic surgery now done in hospitals involves a doctor guiding robotic arms via a computer. One advantage of robotic surgery is that a robot’s tiny hands can reach into tighter spots and move in ways that human hands cannot. That’s one reason that nearly 80 percent of prostate removal surgeries are now done with robotic surgery, according to the National Cancer Institute. So far, robots have been best for medical procedures requiring repetitive and predictable work. The challenge with soft tissue has been that it moves, making the use of a robot difficult. But the robot used in the study showed that a new generation of machines might be up to the task. Researchers from the Children’s National Health System in Washington, D.C., and Johns Hopkins University designed a “smart tissue autonomous robot,” or STAR, that includes tools for suturing. When fluorescent markers were placed in the soft tissue of a pig, the robot knew where to plant its stitches and operated similar to how a sewing machine works. The robot was programmed for stitch size, pattern and tension. The study's authors aren’t ready to recommend a "hands-free" approach for soft tissue because the process still needs perfecting. In the trial on the pigs, the scientists stepped in to guide the robot's actions around 40 percent of the time. Surgeons already are using robotic surgery to perform many procedures, including hysterectomies and bladder, kidney, ovarian and lung cancer surgery. Unlike conventional open surgery, robotic surgery only requires tiny incisions. It appeals to many patients because there's generally less bleeding, less pain, a shorter hospital stay and a quicker recovery. Want to learn more about robotic surgery? Talk to your health care provider. 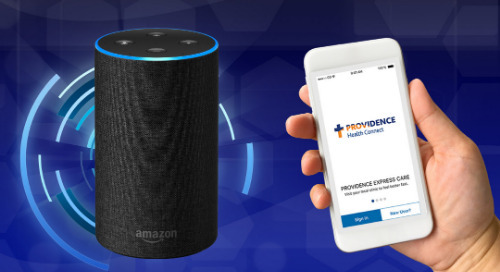 If you don’t have a provider, you can find a Providence caregiver here.